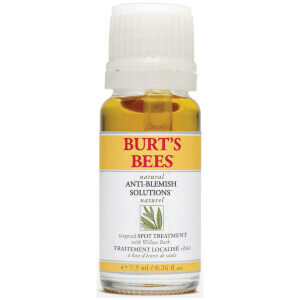 Soften and repair skin with Burt's Bees Anti-Blemish Daily Moisturising Lotion; a gentle treatment specially developed for acne-prone skin and scientifically proven to help combat future breakouts. An all-natural blend of ingredients work in tandem to cleanse and protect; Willow Bark-derived Salicylic Acid gently exfoliates to unclog pores and fight blemish-causing bacteria, while Witch Hazel and Lemongrass alleviate the look of redness. The lightweight formula effectively replenishes hydration levels and regulates oil production to leave your complexion feeling soft, smooth and comfortable. 100% Natural. Dermatologist tested. Non-comedogenic. 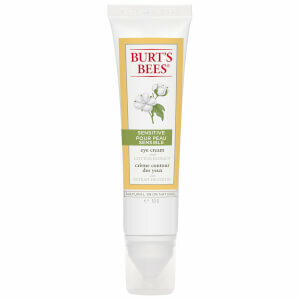 Active Ingredients: Salicylic Acid 1.0%. Inactive Ingredients: Water, Helianthus Annuus (Sunflower) Seed Oil, Glycerin, Stearic Acid, Sucrose Polystearate, Salix Nigra (Willow) Bark Extract, Beeswax,, Cymbopogon Schoenanthus Extract, Hamamelis Virginiana (Witch Hazel) Leaf Extract, Humulus Lupulus (Hops) Extract, Hydrastis Canadensis (Goldenseal) Extract, Epilobium Fleischeri Extract,, Lecithin, Carrageenan, Glucose, Xanthan Gum, Sucrose, Sucrose Stearate, Sodium Chloride, Glucose Oxidase, Lactoperoxidase, Fragrance, Potassium Sorbate, Potassium Thiocyanate, Potassium Iodide, Phenoxyethanol, Citral, Geraniol, Limonene, Linalool.